From the 1st of February 2013 the SuperPro warranty becomes a Lifetime Warranty with no exclusions. <br/> This means that if a SuperPro product fails, ever, we will replace the product free of charge. <br/> With SuperPros technical superiority in material, design and manufacture a lifetime warranty with no exclusions for off-road, track and competition use is a guarantee we can make with complete confidence. <br/> Our goal is to make SuperPro the only choice of suspension bushings for repair, off-road and performance applications in the mind of workshops and consumers. Never again should you settle for a one setting sway bar. Why settle for one size, when you can have two sizes in one bar? SuperPro's adjustable sway bars allow you to have just that. Combine high performance ability with a daily driver feel in SuperPro's 2-point adjustable sway bars. 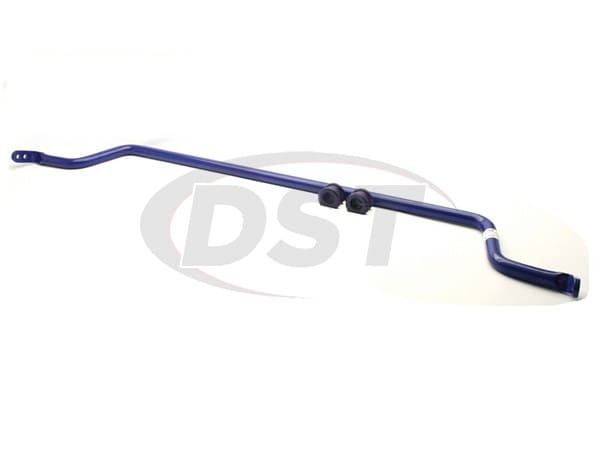 These sway bars give your vehicle the ability to be precisely tuned to your desired performance. The adjustable sway bars allow the effective stiffness of the sway bar to be adjusted by increasing or decreasing the length of the arm, without even taking the bar off the vehicle., making it a super easy, super-fast, at the track kind of adjustment.